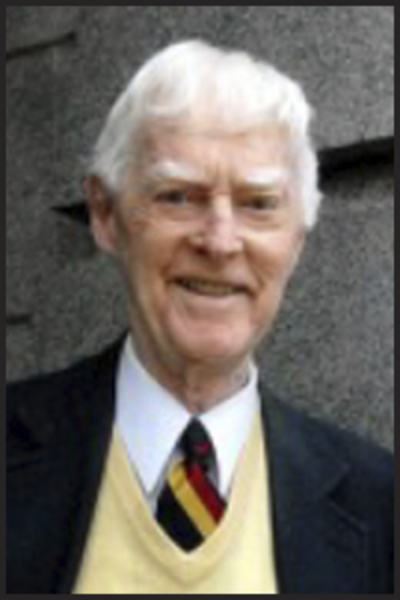 BANGOR – Judge Allan Woodcock Jr., 95, died peacefully of natural causes on April 4, 2016. Allan was born June 21, 1920 in Bangor, Maine, to Dr. Allan and Priscilla Crosby Woodcock. Allan was a member of the United States Marine Corps prior to graduating from Bowdoin College and Boston University School of Law. Judge Woodcock was married to Lois F. Woodcock for 35 years prior to her death in 1989. Allan was a member of the Bangor City Council, spent two terms in the Maine House of Representatives, three terms in the Maine State Senate, and 50 years as Penobscot County Probate Judge. Known within the community for his red sneakers and love of the Red Sox, Allan also loved to spend time with his children and grandchildren at their camp on Sam’s Island. In addition to his parents, Allan was predeceased by his wife Lois F. Woodcock and a brother, Dr. John Woodcock. Surviving Judge Woodcock are his seven children: Sally (Woodcock) Mahoney and her husband Larry, Allan Woodcock III, Barbara (Woodcock) Logue and her husband Owen, Anne Woodcock, Caroline Woodcock, Peter Woodcock and his wife Bernadette, and Molly (Woodcock) Dyer and her husband Todd; 17 Grandchildren: Michael Mahoney, Andrew Mahoney, Amanda Logue Hudson, Peter Logue, Robert Logue, Thomas St. John, Jesse St.John, Eliza Woodcock Borntraeger, Alexandra Cummings, John Cummings, Nicholas Cummings, Christopher Cummings, Hayden Woodcock, Madison Woodcock, Samuel Dyer, Sarah Dyer, Benjamin Dyer , one Great Grandchild Freya Cummings, one sister Sally Woodcock Pierce, many esteemed nieces and nephews, and friends. Relatives and friends are invited to call 4-7 p.m. Monday April 11, 2016 at Brookings-Smith, 133 Center St. Bangor. A funeral Mass will be held 11 a.m. Tuesday April 12, 2016 at St. Paul the Apostle Parish, St. John’s Catholic Church, 207 York St. Bangor, followed by The Rite of Committal at Mt. Hope Cemetery. The family invites relatives and friends to share conversation and refreshments at the Family Reception Center of Brookings-Smith, 163 Center St., immediately following the Mass. Those wishing to remember him in a special way may contribute in his memory to the Bangor Public Library, 145 Harlow St., Bangor, ME. 04401.